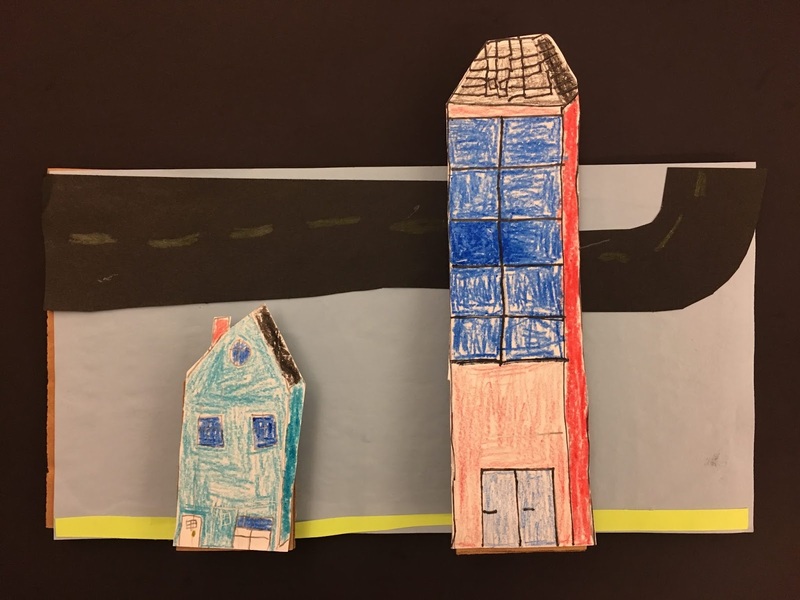 This year, grade 2 artists dove into architecture and designed their own buildings. 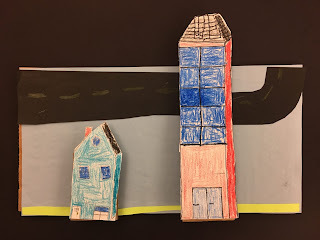 like free standing houses, town houses, and city buildings. 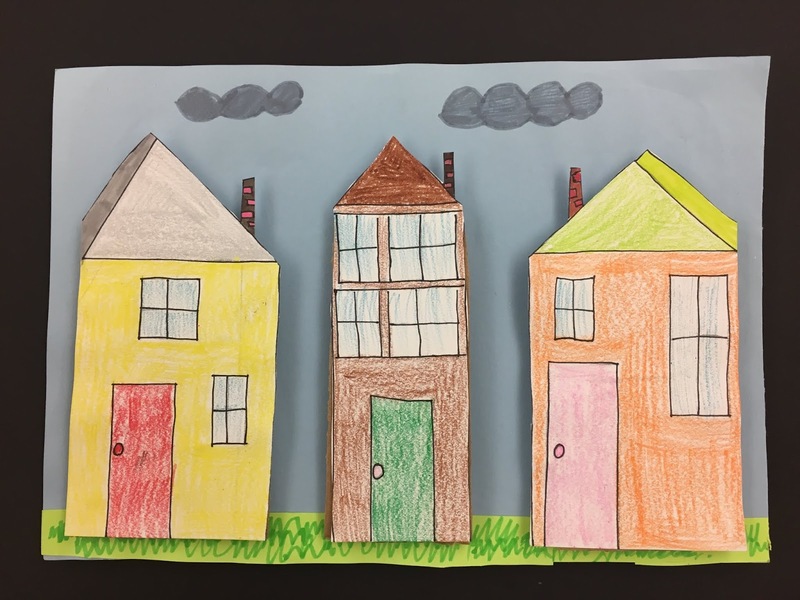 We examined roof lines, window details, doors, porches, and types of siding. 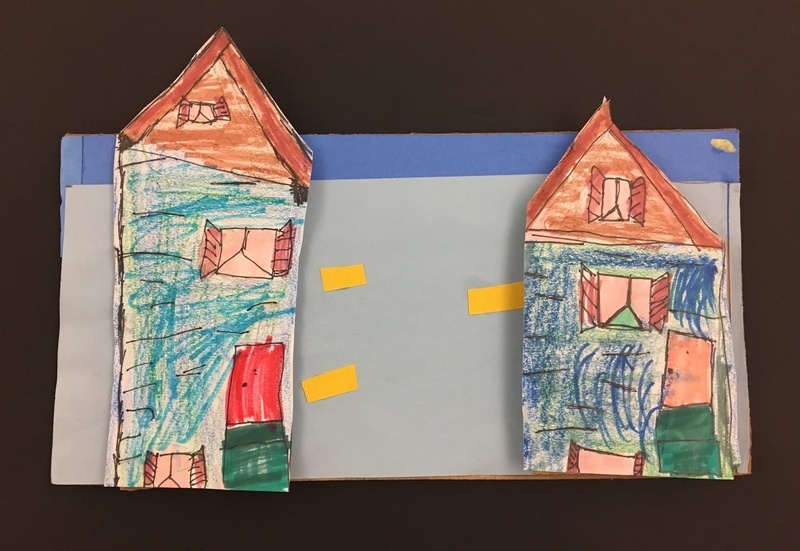 Students started out using a ruler to draft their building designs. 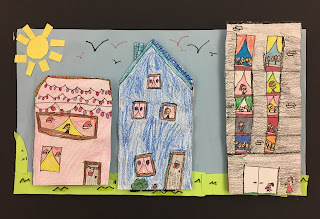 They then used crayon and marker to add color to their drawings. 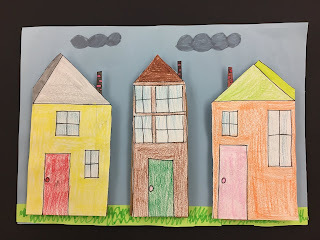 2nd graders also learned to increase crayon pressure to show value in their houses and make them appear more 3-dimensional. Finally student's mounted their buildings on cardboard using varying layers of small cardboard squares behind each building to create a work of art in relief. 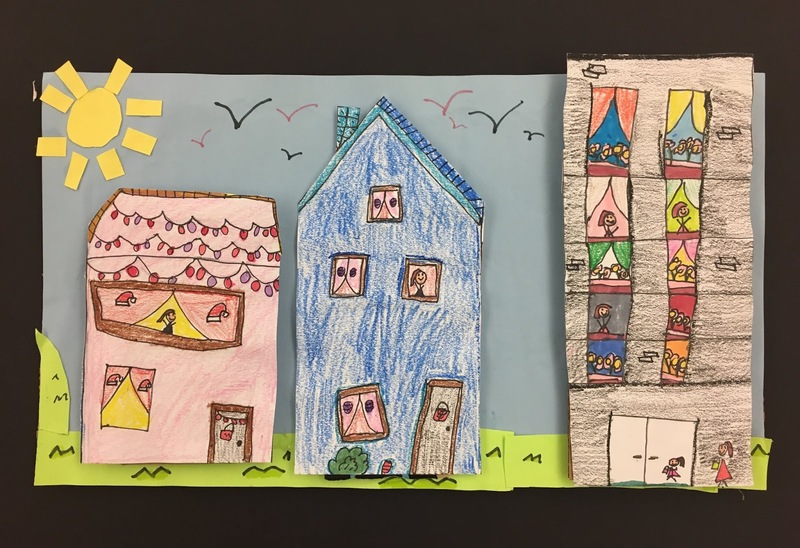 I loved seeing the whimsy come out in their finished houses! 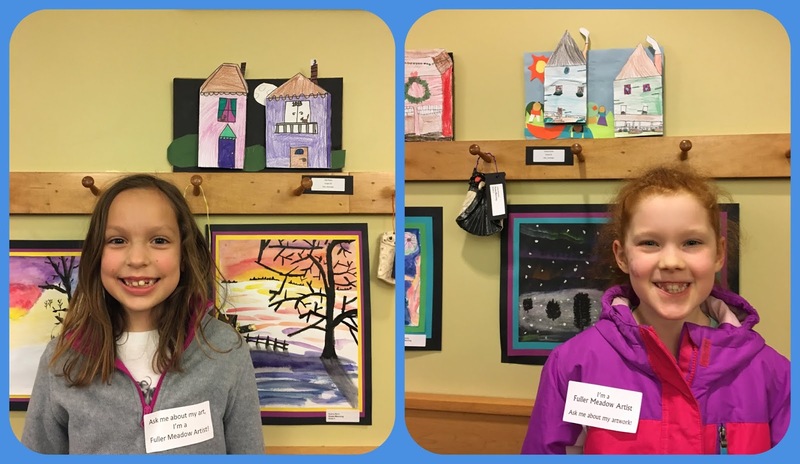 Here's a few second grade artists showing off their work at our annual Flint Library Art Show! 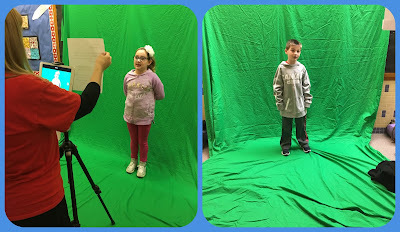 The last surprise part of this project was tying in the green screen. Each 2nd grader wrote an artist's statement, where they analyzed and reflected on their work. Thank you to our Technology Specialist, Dierdre Baker who, filmed each student reading their statement and used Do Ink Tweets to put each student inside of their work. Check out each group's performances - I loved how they turned out! Love these reflections- videos are so fun to see. Thank you! I was investigating for thoughts on this topic last Tuesday.